Connecting deeply with our kids can be difficult in our busy, technology-driven lives. Reading aloud offers us a chance to be fully present with our children. It also increases our kids' academic success, inspires compassion, and fortifies them with the inner strength they need to face life's challenges. 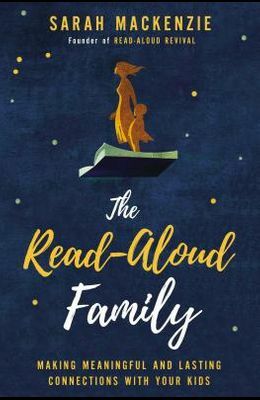 As Sarah Mackenzie has found with her own six children, reading aloud long after kids are able to read to themselves can deepen relationships in a powerful way. Founder of the immensely popular Read-Aloud Revival podcast, Sarah knows first-hand how reading can change a child's life. In The Read-Aloud Family , she offers the inspiration and age-appropriate book lists you need to start a read-aloud movement in your own home. From a toddler's wonder to a teenager's resistance, Sarah details practical strategies to make reading aloud a meaningful family ritual. Reading aloud not only has the power to change a family--it has the power to change the world.